Seriously... What the hell is wrong with DR... No wonder its falling on its arse when they are this shoddy! @Jimmy06 - is that on an Ask4 network? The networks differ wildly from mine. 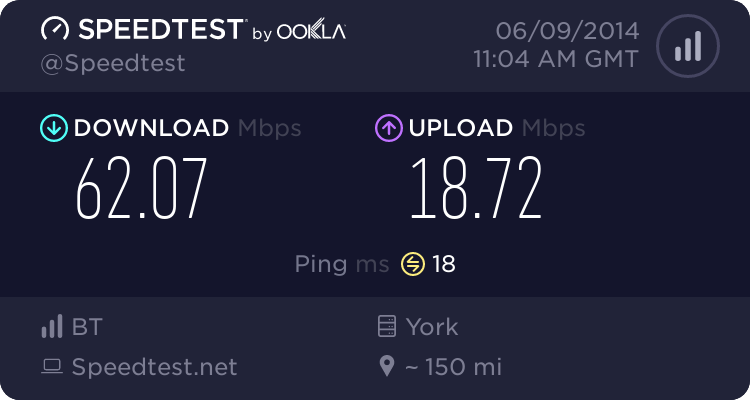 What type of connection do you have, what speeds do you normally have? I would be happy with an 8ms response! 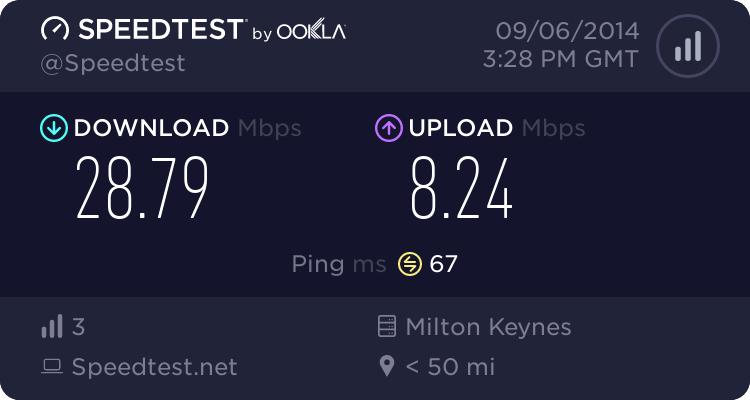 there has always been an issue with latency on the digital region network in my opinion and im not sure why. Thales really need to look into why they have this problem especially when they dont have many users on the network. Why is it beginning to sound like Thales managed to put Ripwire out of business? (11-04-2012 01:06 AM)ThEGr33k Wrote: Why is it beginning to sound like Thales managed to put Ripwire out of business? Quote: RiPWiRE, based in Rotherham said it had experienced a range of issues with Digital Region. In my opinion they can't pass all the blame onto Digital Region, as they are much to blame as anybody else - even when i was a customer with them they were blaming Digital Region for issues, but then they admitted that they weren't actually reporting some issues customers were experiencing to Digital Region. They also made a lot of false promises and it was because of their attitude towards customers that i left them. if it wasn't for the charges at the time to move providers on the network i would have probably stayed, if i knew the constant disconnections would have ceased. I'm not sure how true it is, but on some reports they reckon that Ripwire only had about 250 clients. To probably make money they would have to be charging customers £75 or more a month for their services just to about keep afloat. I agree with @mirdragon on this. I can't comment on false promises and things like that, but when you have such a small customer base and charging so little for business packages, it was hard to see where a profit would come through. Saying that, there were plenty of good things to say about RiPWiRE. Back on the old forums (legacy members will know! ), RiPWiRE support was on there and started to become active before the end of things and in the background I was in good communication with the higher ups. They were also the first company to take a gamble on Digital Region..Without them showing up, Residential customers would not have got on the network as early as they did!.